Dr. Richard Shurtz has been hosting Tech Talk since its inception in 2000. He has a PhD in Physics and has a passion for technology and science. Prior to his position at Stratford, he was VP Applied Technology for the BDM Corporation. You can listen to Tech Talk Radio every Saturday at 9:00 a.m. EST on WFED (1500 AM). 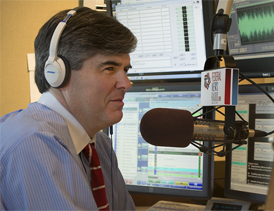 Jim Russ has co-hosted Tech Talk Radio since 2007. 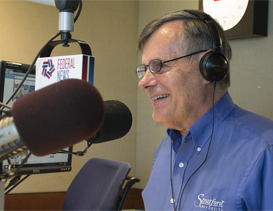 Jim has been a radio personality on many talk radio stations in the Washington DC area for the past twenty-five years. He enjoys learning about new technolgies and is very interested in digital photography. You can listen to Tech Talk Radio every Saturday at 9:00 a.m. EST on WFED (1500 AM).